A 33% reduction in child mortality in Uganda. Double the psychotherapy patients achieving meaningful results. Half the number of referrals and diagnostic tests. 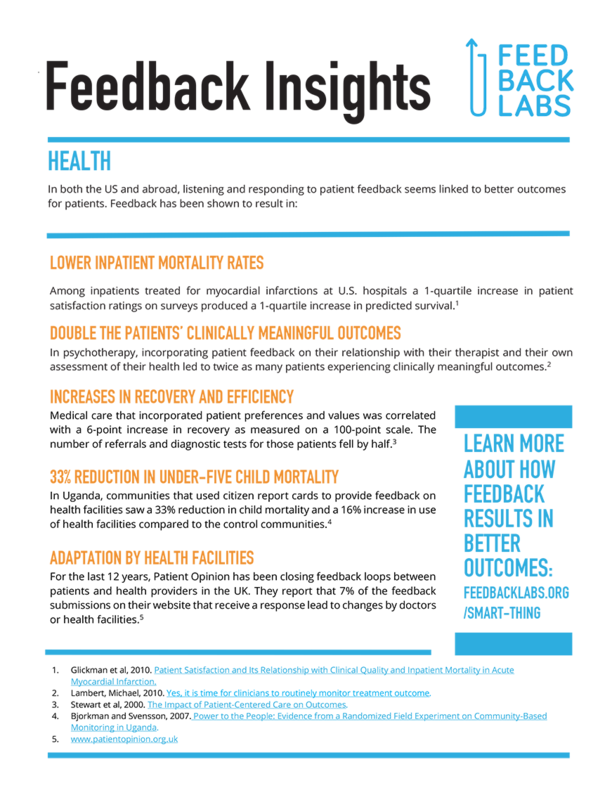 Feedback is revolutionizing the health sector in the US and abroad, and demonstrating that incorporating feedback from patients can lead to better health outcomes. Dennis and I recently met with the Robert Wood Johnson Foundation, America’s largest public health philanthropy. 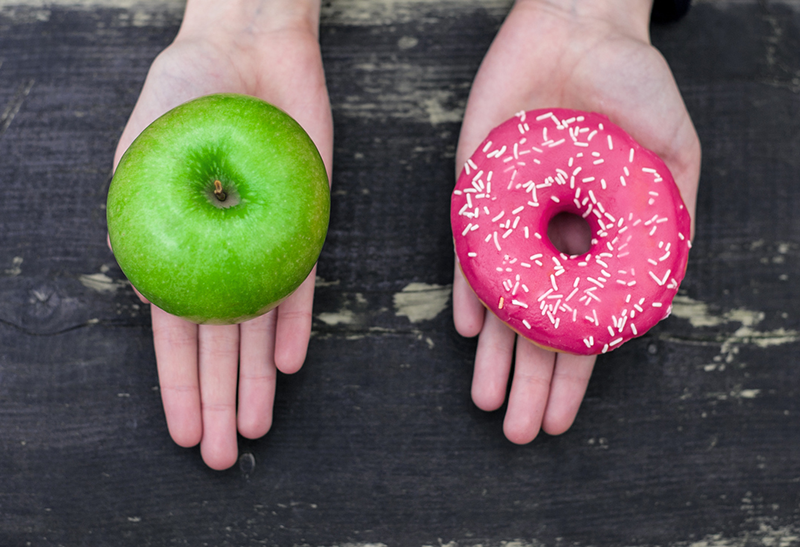 RWJF and the organizations it supports are striving to build a culture of health in the US that will result in longer, healthier lives for all Americans. We were discussing with RWJF how incorporating feedback from our constituents can lead to dramatic results. The 1-pager below summarizes some of those effects. We know that patients are hugely insightful about their own health and the care they receive. Take for instance the case of myocardial inpatients in US hospitals, for whom a 1-percentile increase in satisfaction as patients produced a 1-percentile increase in predicted survival, after controlling for the hospital’s adherence to guidelines for care1. As the authors of the study put it, their results “suggest patients are good discriminators” of the care they receive. We’ve also seen that the gains from incorporating patient feedback into healthcare can be substantial. For instance in Uganda community members provided feedback to health workers at their local clinics by filling out citizen report cards. Community members actively participated in analyzing and interpreting their ratings of the health clinics, and in discussion with the health workers to whom they were providing feedback. The intervention led to a 33% reduction in under-5 child mortality and a 16% increase in use of the health clinics2. There is compelling evidence that putting feedback from people we seek to serve at the center of our work can lead to startling improvements in results. Have you seen this happen in your work? Tell us more on Twitter! 1 Glickman et al, 2010. Patient Satisfaction and Its Relationship with Clinical Quality and Inpatient Mortality in Acute Myocardial Infarction. 2Bjorkman and Svensson, 2007. Power to the People: Evidence from a Randomized Field Experiment on Community-Based Monitoring in Uganda.